The new yachting season got off to a flying start: a succession of internationally important meetings, with shipyards and the whole yachting world running from one event to the next, in many cases on both sides of the Atlantic: a real tour de force, also in the superyacht sector. First Cannes, Monte Carlo and Genoa - to exhibit recent production to European customers - and then Fort Lauderdale in Florida to satisfy American customers. And from January onwards it'll be another headlong rush, planetary this time, because after Düsseldorf the big names will be in Miami, Dubai, Shanghai, Moscow etc, not to mention participating in the dozens upon dozens of national events where, to a greater or lesser degree, the yards either show their boats or are simply represented by a stand. Sometimes it's not so much a question of market opportunity as an image-related need to be there. The top end of the yachting market gives this type of return, at local and even political level, and all the trade fair organisers are willing to do anything, often "drugging" exhibitors with under the counter incentives in order to carve out a space for themselves. Then it's down to the market to decide about their effective validity, and a great many fairs disappear rapidly, leaving no trace. Wère wondering: who gets anything out of it? Is it worth shipbuilders' while to increasingly spread this system of general events that bring big yachts and famous brand names together even on local markets? All this circus, so to speak, is very costly, dizzyingly so if you want to cut a figure and project an image consonant with your brand, but is it justified? And then the mixing of a clientele that has little in common, that is there less out of passion than out of status seeking: is this an optimal exhibition solution? Certainly not for big yachts. 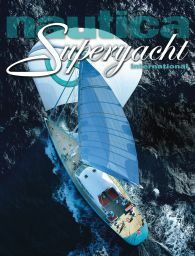 The question of generalised events is still valid where there is no alternative, meaning where there is no event expressly created for superyachts, such as the Monaco Yacht Show or the World Superyacht Celebration 2006, scheduled for December near Moscow, where a sort of tacit consortium of big names has set up a by-invitation show. For the future - nearly 800 boats are estimated for the 2007 market - this solution, targeted on a highly selected clientele, seems to be the most logical under all strategic and economic aspects. Specialised boat shows, held in the cult places of luxury yachting, could be as few as a couple worldwide. And then absolutely exclusive ones, perhaps organised by consortiums and/or associations of shipyards for a highly selected invited clientele who can really see the boat in peace and quiet and analyse the various factors. A marketing concept whose general lines have already been expressed by high fashion with its private views.